Which Is Cheaper: Uber or Taxi? Is an Uber Really Cheaper Than a Taxi? Does ridesharing save money, or do you pay a premium for convenience? Rideshare services like Uber and Lyft have infiltrated nearly every major city in recent years, effectively giving taxis a run for their money. 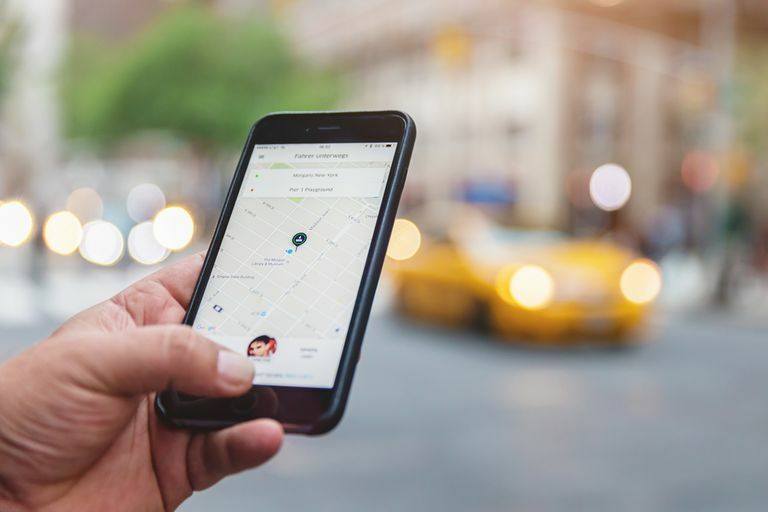 While it may be easier to call an Uber on your smartphone with the touch of a button, it can be tough to determine the cheaper option between taking an Uber or a taxi. Which is Cheaper: Uber or Taxis? In New York City, a taxi charges an initial fee of $2.50, $0.50 cents per 1/5 mile, and a waiting charge of $0.50 cents per 60 seconds. UberX charges a base fare of $2.55, a per minute charge of $0.35, and a per mile charge of $1.75. In Philadelphia, taxis charge $2.70 for the first 1/10 mile, $0.25 each additional fraction of a mile, and $0.25 for every 37.6 seconds of waiting. UberX charges a base fare of $1.25, a per minute fee of $0.18, and a per mile fee of $1.15. In Washington D.C., taxis charge a base fare of $3, $2.16 per mile, and about $2 per every five minutes of wait time. UberX charges a base fare of $1.15, $0.17 per minute, and $1.08 per mile. In Los Angeles, a taxi costs $2.85 for the first 1/9 of a mile, $0.30 for each additional 1/9 mile, and $0.30 for each 37 seconds of wait time. UberX, however, charges no base fare, $0.15 per minute, and $0.96 per mile. The cost your trip will depend on many factors, including distance traveled, traffic conditions, and the time of day. While some of the rates are similar in structure and amount, there is one major difference: Taxis charge per mile when moving, yet they charge per minute while idling. Uber, on the other hand, charges per mile and per minute regardless of whether they are moving or idling, with a few exceptions. If you’re considering which service to take to the airport, the cheaper option is almost always Uber. In fact, there are only three major airports (New York’s LaGuardia Airport, New York’s JFK, and Boston’s Logan Airport) where it’s cheaper to take a taxi instead of an Uber. When comparing the cost of Uber and taxis, there are additional variables to consider. For example, many taxi riders tip their drivers around 20 percent. Although Uber offers a tipping option, it’s relatively new and not as widely used. Uber’s surge pricing is another major variable that can affect cost. Surge pricing essential means that Uber’s cost varies depending on demand, so expect to pay a much higher fare on nights where cabs are in high demand such as New Year’s Eve. In addition to a minimum fare amount, Uber also charges a cancellation fee that varies by city. If you open the Uber app and you see a 1.8 surge price, then a $10 trip will cost you closer to $18. ​Avoid surge pricing by waiting a few minutes or walking a few blocks (if you’re in a safe area) in another direction. One customer infamously paid $14,000 for a 20-minute Uber ride due to surge pricing, so pay attention to how much you're being charged. Uber is typically cheaper for longer trips moving at a faster speed while taxis are a better choice for trips in congested areas like New York City. That said, geographic location also matters. According to a RideGuru analysis, Uber is cheaper than a taxi in cities like San Francisco, Los Angeles, and Detroit, while taxis are cheaper in New York City. It’s a near-draw in cities like Washington, D.C. and Nashville. A recent study by GoBankingRates found that Uber was the more economical choice in 16 of 20 major U.S. cities. Which iPad Data Plan is Best? Why Is Uber So Controversial? What Is Lyft and Should You Use It?